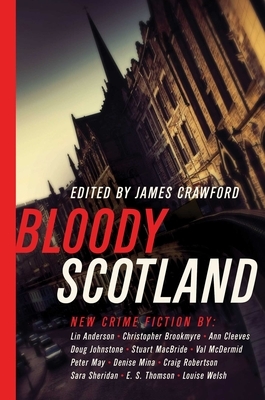 Stellar contributors to Bloody Scotland include Val McDermid, Christopher Brookmyre, Denise Mina, Peter May, Ann Cleeves, Louise Welsh, Lin Anderson, Doug Johnstone, Craig Robertson, E. S. Thomson, Sara Sheridan and Stuart MacBride explore the thrilling potential of Scotland's iconic sites and structures. From murder in a Hebridean blackhouse and a macabre tale of revenge among the furious clamour of an eighteenth century mill, to a dark psychological thriller set within the tourist throng of Edinburgh Castle and an 'urbex' rivalry turning fatal in the concrete galleries of an abandoned modernist ruin, this collection uncovers the intimate--and deadly--connections between people and places. Prepare for a dangerous journey into the dark shadows of our nation's architecture--where passion, fury, desire, and death collide.